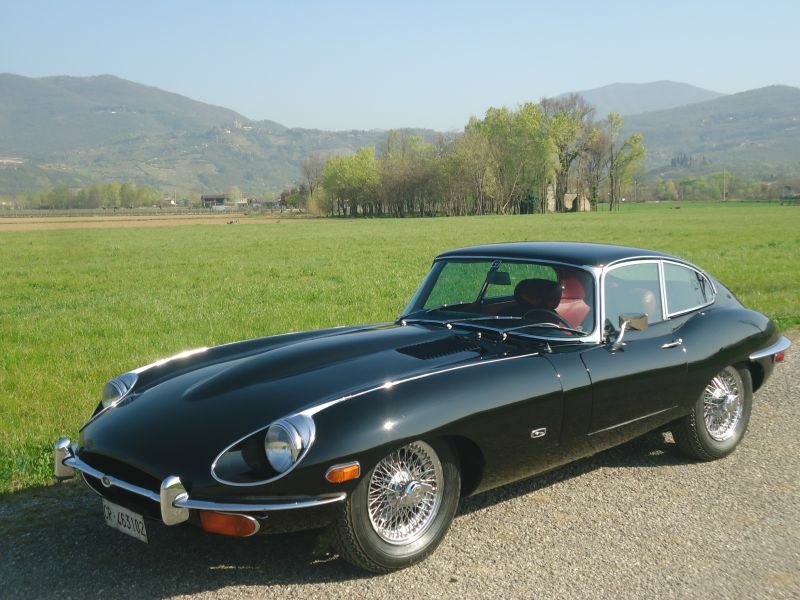 Cavalier Giorgetto Giugiaro when he saw our car said: "The Jaguar E-Type was a revolution!" The E-Type was in fact a revolutionary car for design, driving characteristics and aesthetics; he was ahead of his time. 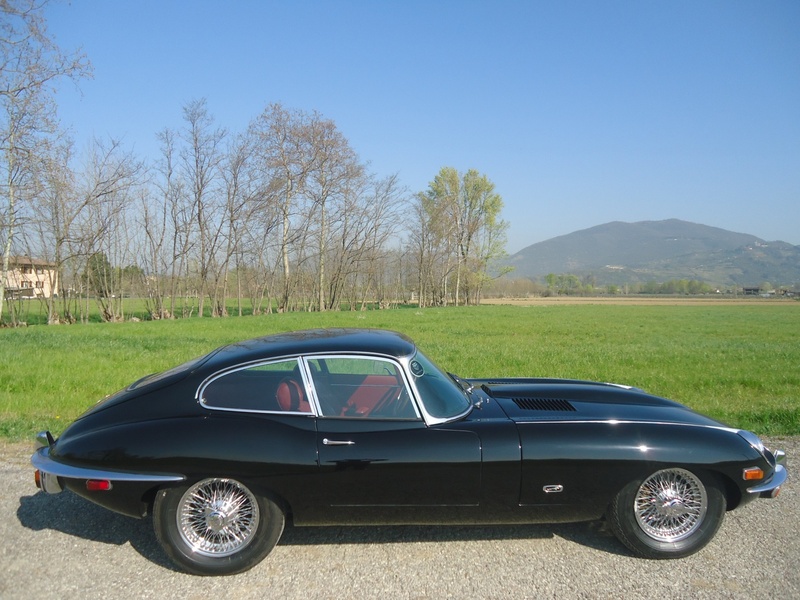 A survey by Wheeler Dealers declared the E-Type, the most beautiful car ever. 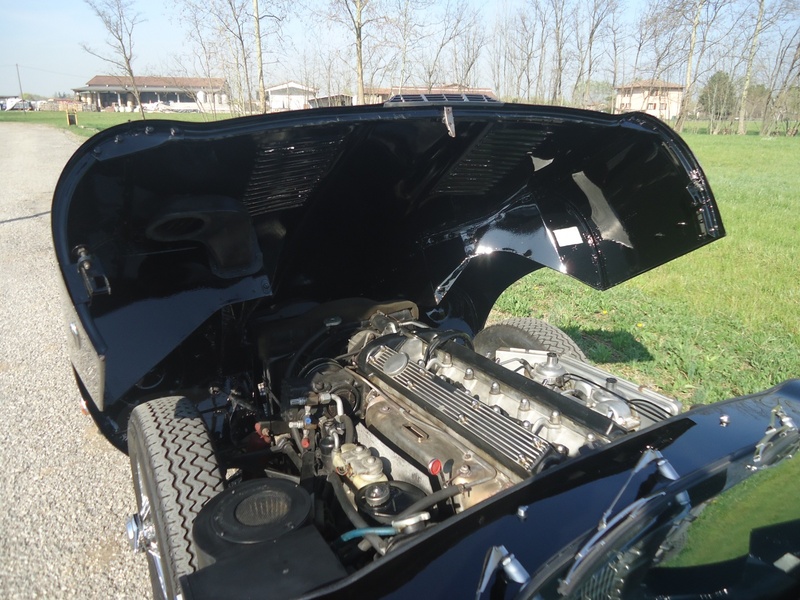 Its price was lower than that of the cars of the same class as the competition and this helped sales which, in the 14 years in which it remained in production, reached 70,000 cars, of which 63,000 for America. In 2004 the US magazine Sports Cars International put it in first place among the Top Sport Cars of the sixties. 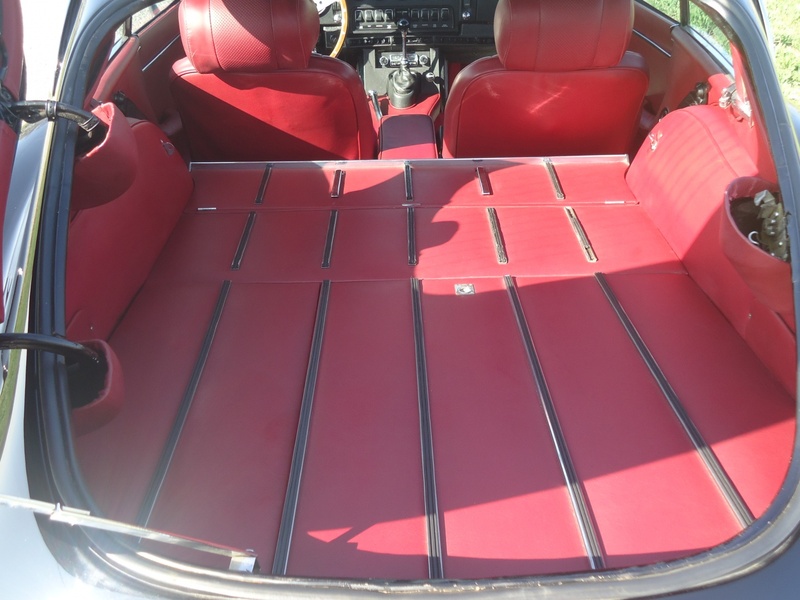 Our car is a 1970 Series 2, with several modifications introduced above all to comply with US safety standards, the reference market for this car. 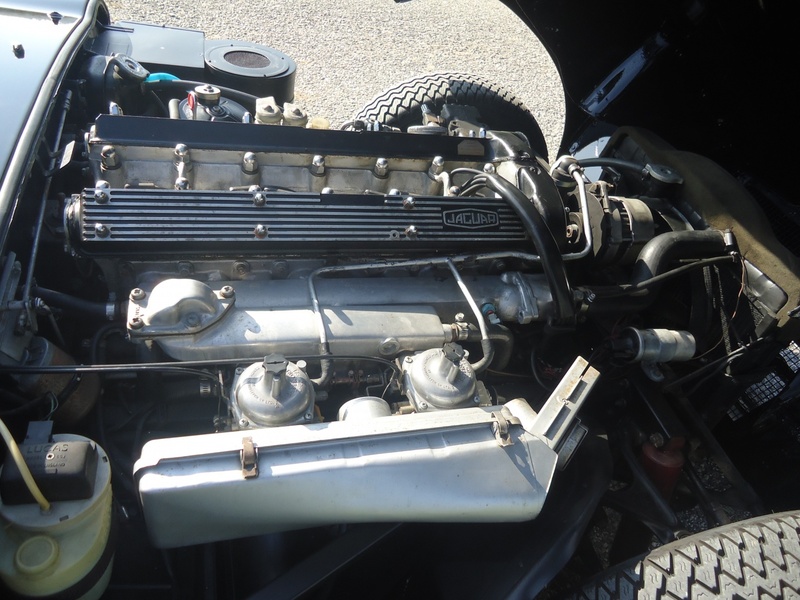 Engine modifications, adopted by the entire range (European and American); the three SU HD8 carburettors were replaced by two Zenith-Stromberg carburettors to comply with American anti-pollution regulations. 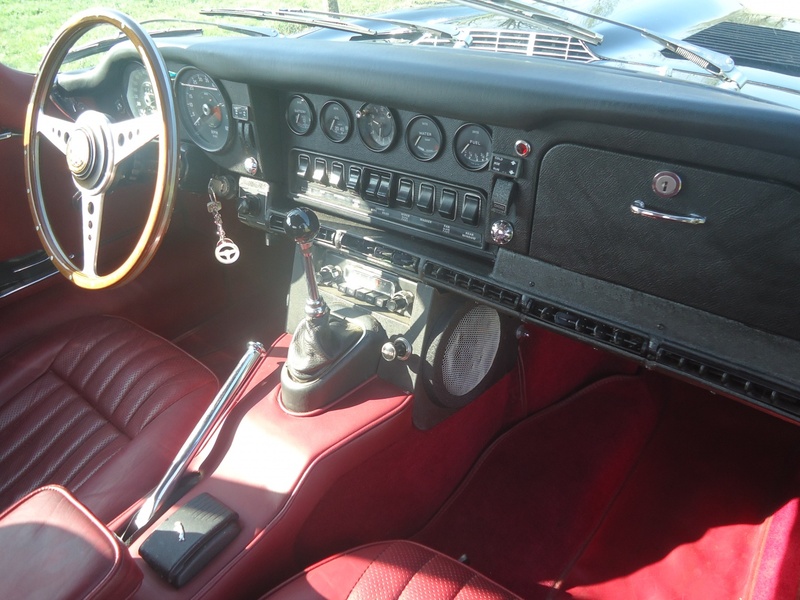 The other mechanical modifications concerned the steering, the steering column was collapsible and you could have power steering, (present on this car) and the braking system, improved with Girling calipers. Cosmetic modifications were introduced such as the headlights that were enlarged and placed in chrome seats, the front direction indicators were enlarged and placed under new enlarged bumpers. The oval air intake was also enlarged to make room for the air conditioner evaporator (optional and present in our car). The small taillights were replaced by the larger ones of the Lotus Elan S2 placed under the enlarged bumper on the sides of the license plate compartment. The side lights were also added laterally. 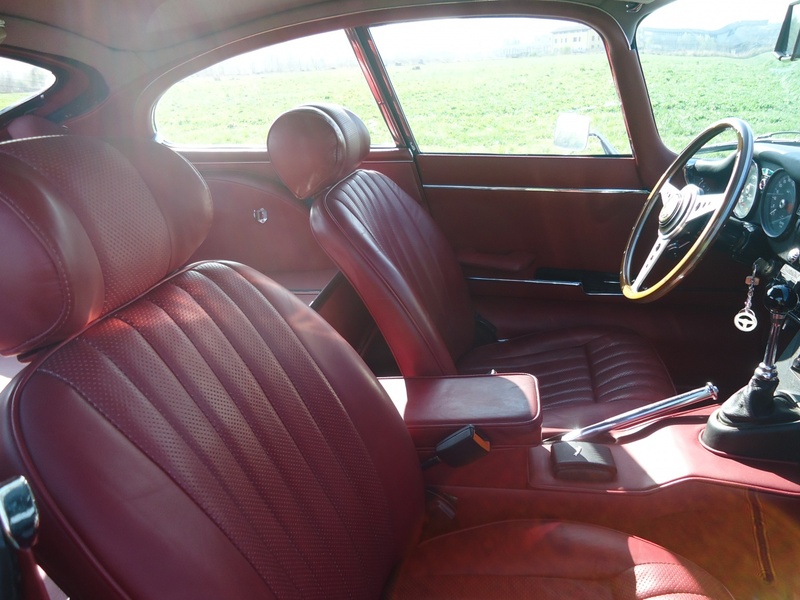 Inside, the seats received head restraints and an adjustable backrest, and a combination of steering lock and ignition key was mounted on the steering column. Thanks to the presence of power steering on our car it was possible to mount a smaller and more sporty "Motolita" steering wheel (the original steering wheel is present and will be provided). 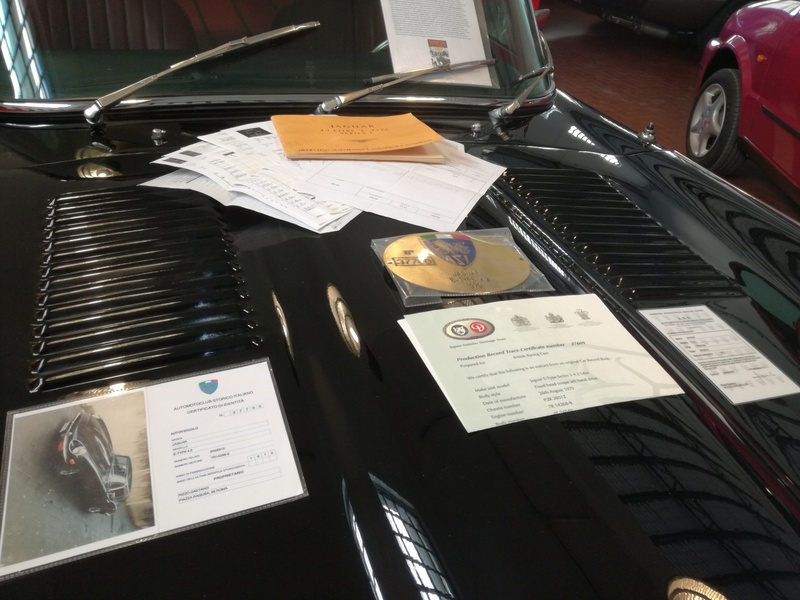 The car, matching number, underwent, in 2007, a complete restoration of the bodywork and interior respecting the correct configuration. Present maintenance receipts for the last 10 years. Car ready for rally / elegance competition in search of Eva Kant! 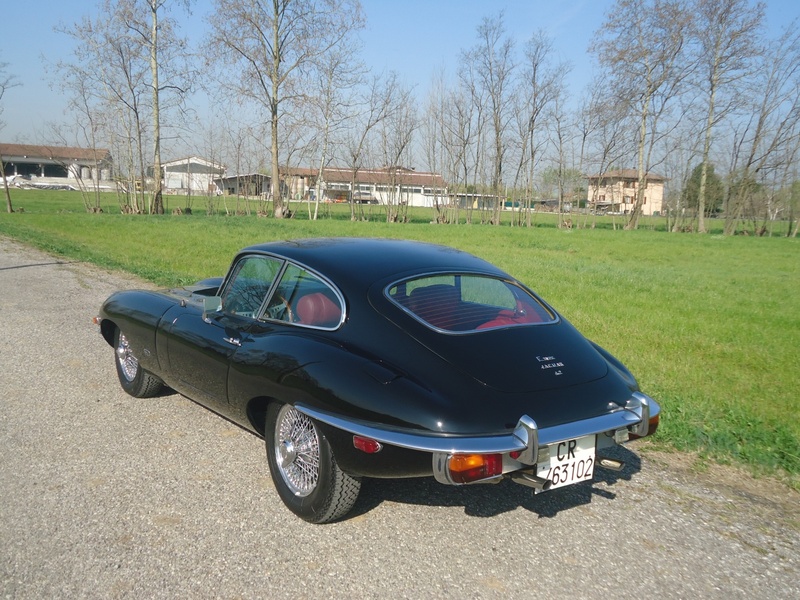 JAGUAR E TYPE II SERIE COUPE 4235 1968-71 n.d.